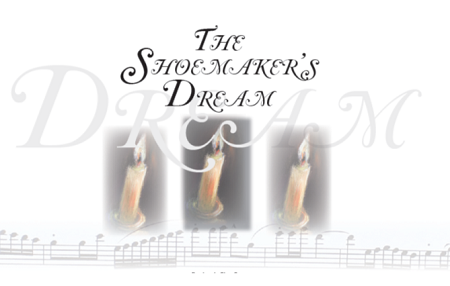 The Shoemaker's Dream is based on the classic short story "Where Love is God Is" by Leo Tolstoy. The beautiful music is composed by Diane Whitacre and would be considered an advanced level. . This is a story our family would read every Christmas and throughout the winter season. We could never get through it without a few tears. Reading it is has become a great family tradition. Martin, the shoemaker, has a dream that God will appear to him the next day. The next day if filled with meeting people with different needs... a women with her baby suffering from the cold, and old man, and an apple seller who has just been robbed. His kindness touches each person and reflects God's love to each of them. The piece is 17 minutes long.